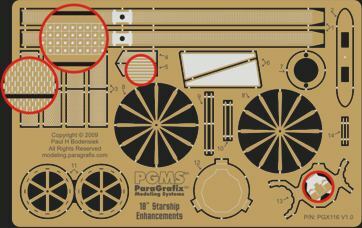 The only modification necessary to use this detail set is cutting a hole in the top of the primary hull to show the bridge. This is made even easier since we include a "washer" that fits in place to block lighting and provide a perfectly circular opening. Production artwork shown. Additional images coming soon.